Hunter Douglas Shutters include an impressive selection of modern-day hybrid materials and Polysatin™ compound for maximum strength and durability. The Hunter Douglas commitment to quality, innovation and durability is the foundation upon which Palm Beach Poly Satin Shutters were introduced over a decade ago. The DuraLux finish of Palm Beach Shutters is guaranteed against warping, cracking, fading, chipping, peeling and discolouration. 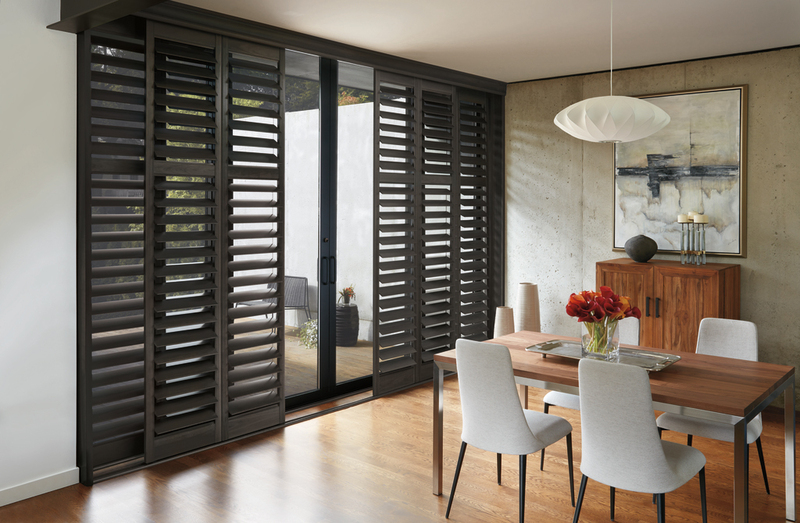 The value priced NewStyle Shutters blend the beauty of real wood and advanced modern day materials to create a stunning & durable window covering for any room. A classic look combined with child safety, low maintenance, variable light control and great insulation makes Hunter Douglas Shutters an exceptional investment! To view Hunter Douglas full product line of Shutters, please click the logo below. Hunter Douglas Product Photos courtesy of Hunter Douglas Inc.
For straightforward expert advice, schedule your complimentary in-home or business consultation with our design professional - Marie Paddon.